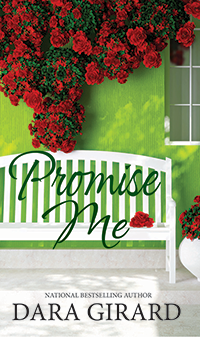 I’d planned on making this another 3 Quick Questions post, but as I learned more about debut author Susan Mason Milks and her new release MR DARCY’S PROPOSAL, I knew I couldn’t stop at three. Jayne Ann Krentz first brought her to my attention on her Facebook page and when I discovered Susan was a Jane Austen fan like myself (Ms. Austen was a big influence on THE DAUGHTERS OF WINSTON BARNETT) I had to talk to her. Enjoy! Available in both print and eBook formats! This retelling of Pride and Prejudice asks “what if” events prevented Fitzwilliam Darcy from proposing to Elizabeth Bennet that day at Hunsford parsonage? Darcy arrives with marriage on his mind, only to find that Elizabeth has just received news her father is critically ill and probably dying. In the process of offering his help to her in traveling home, he discovers what she really thinks of him—and it’s not good. Should Darcy deliver Elizabeth home to be with her family and then disappear from her life, or will he propose another kind of help? Will Elizabeth be willing to sacrifice her future happiness to save her family from financial ruin? Or, do she and Darcy, two very stubborn people, have a chance of finding happiness together? The first time you read Pride and Prejudice in eighth grade you weren’t impressed. Why? I’ve thought about this quite a bit, and I can’t really come up with a good answer. I do remember that my first impression of Darcy was much the same as Elizabeth’s. Ironically enough, I must have let my impressions prejudice me against the book – and of course, that’s just what the book is about. If you’re familiar with Austen’s work, you may remember that First Impressions was her original title for Pride and Prejudice. What draws you to the work of Jane Austen? The first draw is her writing – both what she writes about and how she does it. Austen may never have traveled very far from home and never married, but she was a keen observer of people. She seems able to look into people’s hearts and minds and as a result, her books are full of wonderful, complex characters. Austen’s writing is subtle and every sentence is important. If she doesn’t mention a character in a scene, then there’s a good reason for it. Often it’s up to us as readers to discover the why behind it. I still find new things when I read her books, and I’ve read most of them multiple times. I also like to listen to the books on my iPod because I hear things I missed when reading. The second draw for me is location and time period. I’ve always been an Anglophile (my very dear grandmother was born there), and I’ve sometimes wondered if I was born in the wrong century. Don’t get me wrong – I’m not romanticizing the past. I know every day life in the Regency period was not easy. Personal hygiene and medical care were appalling, and just taking a bath and getting dressed required hours. Recently, this was brought home to me when I dressed in Regency period costume for a Jane Austen Society of North America event. Even though I didn’t even wear the special stays and such, I still couldn’t get ready by myself. There was no way I could reach the buttons on the back of my dress! It’s no wonder upper class people were so dependent on servants! 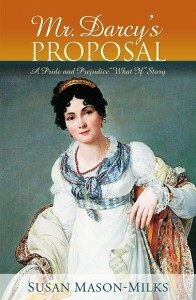 Darcy’s proposal to Elizabeth is a very pivotal scene in P&P. What made you decide to use it as a launching point for your novel? I thought it would be interesting to explore how Darcy and Elizabeth’s relationship might develop if their marriage came before they loved each other, or at least before she loved him. Because of the strict rules of behavior for unmarried people in that time, being married would allow them to spend time together in quite a different way than if they were just courting. Feeling the way she did about him, there would have to be a dramatic reason for her to accept his proposal. Saving her family seemed like one of the only ways to make that happen. In my mind, his offer could only be successful if they had not had the fight that comes with his proposal in the original story. 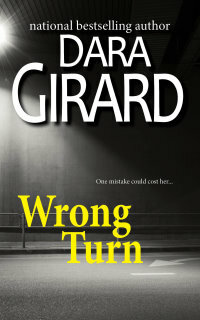 Once they’d had that disagreement, then her stubbornness might have prevented her from ever giving him a chance no matter how bad her situation was. On the other hand, before she accepts his proposal, Darcy still has to explain himself about several issues, including Bingley and Wickham. This happens over the course of several scenes, and finally it begins to shift the way she thinks about him. Elizabeth starts to believe that although she doesn’t like him, he is at least an honorable man and will follow through on his promise to take care of her mother and sisters once her father is gone. Since arranged marriages weren’t all that uncommon, her accepting Darcy’s offer in these circumstances wasn’t an unusual event. Did you add additional characters or stick to the original cast? The original characters are still the focus in my story, but I did make a few additions. This includes a few who either made very brief appearances or were just mentioned in the book. For example, I brought Darcy’s aunt and uncle (Colonel Fitzwilliam’s parents) into the story as a vehicle for Elizabeth to learn more about Darcy’s childhood and personality. I also invented very small parts for Darcy’s valet and Elizabeth’s lady’s maid because their presence was a normal part of their daily lives. As an aside, I have to admit that after writing this book, I’m crazy about Darcy’s cousin, Colonel Fitzwilliam who had a relatively small role in the original! One of the very early scenes I wrote is between Darcy and the Colonel in which he pries some admissions out of Darcy about his feelings for Elizabeth. This scene practically wrote itself! It’s full of the Colonel teasing Darcy in a fun and playful way. He’s able to bring Darcy out of his shell a little bit in much the same way that Elizabeth learns to over time. What makes fan fiction so exciting to you? When I finished reading all six of Austen’s novels, I was devastated. It was over. There would be no more new stories from Jane. Other Regency romances or novels from that time period just didn’t fill the void (although I do love Jane Eyre). When I discovered the fan fiction sites, I was in heaven. People who feel much the same as I do were exploring Austen’s novels in new ways – creating sequels, showing different points of view, writing what-if stories, etc. I loved the ones in which the characters remained true to their personalities in the book. Some writers altered the characters way too much or had them behaving in ways that seemed inconsistent with the original. This may be the main reason that it’s taken me quite a while to warm up to the more contemporary stories. I can’t speak for other fan fiction writers, but I write about Austen’s characters because it’s a great way to spend more time with them and visit their world. I’m thrilled to announce that I was recently asked to join Austen Authors, a group of authors who all write fiction related to Jane Austen or her books. It’s quite an honor to be a member! At the moment Austen Authors is in the midst of an exciting project in honor of the 200th anniversary of Pride and Prejudice. If the story had actually happened, it would have started 200 years ago last month when Mr. Bingley went to view Netherfield Hall for the first time. We’ll be writing scenes that were omitted from the book or scenes from different points of view than what’s included in the original. Since Bingley’s trip to view Netherfield is a scene that’s referred to but not written, one of the Austen Authors told this part of the story from the point of view of Netherfield’s steward (manager) who took Bingley around. A couple of weeks ago was the 200th anniversary of the Meryton Assembly and entries for that date include Elizabeth and her sisters getting ready for the assembly, and Lydia and Kitty talking about it afterwards. At the moment, we’re very excited because the Netherfield ball is coming up November 26th! 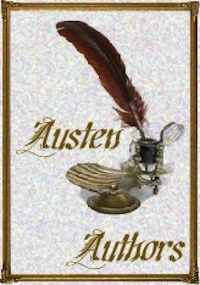 Stop by www.austenauthors.com and follow the story. Your site is called Jane Austen What-If Stories. What can readers expect from you next? I’m working on another what-if story at the moment and have ideas for a few more. I’m concerned the genre is getting a bit crowded. It’s not easy to find a plot that hasn’t been explored yet. Of course, two writers could start with the same basic plot elements, and the result would undoubtedly be two very different stories. I’m hoping to be able to write something using my second favorite Austen novel, Persuasion, as the starting point. Eventually, I’d like to branch out into writing other types of stories, but I’ll just have to wait and see what develops. Thanks for stopping by Susan. Find out more about this imaginative new author on her website or visit her on Facebook.